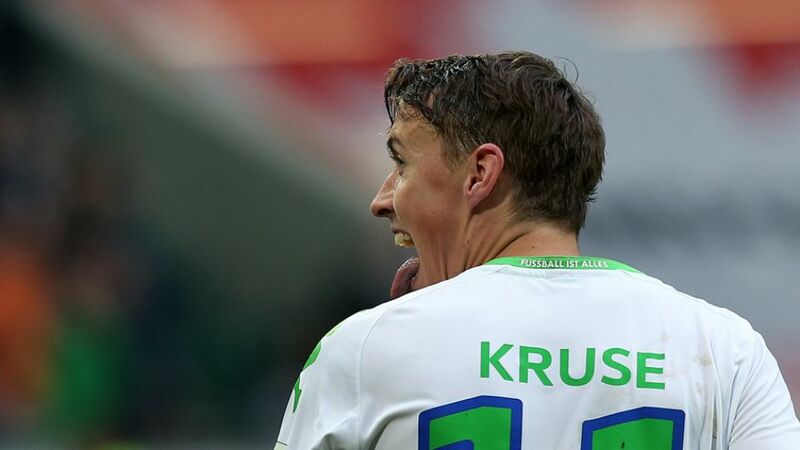 Wolfsburg - Max Kruse was VfL Wolfsburg's match-winner against TSG 1899 Hoffenheim with the first hat-trick of his professional career – his first goals in a Wolfsburg shirt. After the game, the forward spoke about adapting to his new role and Wolfsburg's upcoming challenges and reflected on a very satisfactory week following his exploits for Germany in UEFA Euro 2016 qualifying. Max Kruse: Yes, that's true. I got three great assists and hit the ball well each time. It's a great feeling, but this was just the beginning. I've never scored a hat-trick, so it's something new for me. Kruse: When you're 2-0 up, then you've got to play down the clock. Instead, we conceded an equaliser at the start of the second half and that was frustrating, and a bad time to concede too. But we showed how desperate we were to win it, and overall, it was a very determined and passionate performance from us.